Experience a puzzle game like nothing you have played before. Embark on an epic single-player campaign comprising of more than 150 challenging quests. Jump into this exciting puzzle game and out match your opponent in Quick-play mode. Build your empire as you capture cities, build castles and gain a party of companions that will aid you in battle. Earn money with each gold title to buy helms, weapons, armor and more! 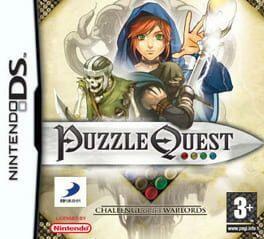 Puzzle Quest: Challenge of the Warlords is available from 9.99 to 9.99 from 1 shops.